I want the angelina one! I can't seem to find the pricing for your kiss pouches on your site, but I'm just curious... Would you be able to make tiny double fleece ones? I have a mouse that would probably adore those! I clicked your link and looked at your pre-made items, I think I spotted a typo on your pampered paws set. On the website it says it's for $1,800. Just thought I should let you know. Haha! No problem, I will probably be making a request as soon as I get my cage. At the moment I'm not sure how big the shelves are, but I know they are plastic and plastic tends to stink very fast if not cleaned fairly often. -.- My future ratties will also be getting litter trained to hopefully minimize the number of times the shelf covers will need cleaning. I think something even half that would be good! My little boy is... Well, not very little. He's a bit overweight, but he's still small compared to the rats! He fits in the palm of my hand. I think he'd love a pouch! Ahhhhh, I got my pouches and mouse sized flat! They are SO cute, and the pouches are absolutely adorable. He's going to LOVE them. As soon as I clean his cage out, I'll get you some pics! Hehe, I was showing them off to anyone who'd look at them "Wookit the wittle pouchies! Aren't they the cutest wittle fings?!" I hope he likes them, I can't imagine how sweet a lil mouse would look in a lil pouch. Ummm, I think I may ordered too much from you LOL! All my sets looks so gorgeous in the photos:) Thanks for all the great work! I will be bringing many new sets and showing off some of my designs at the spring RFL show (if they'll have me lol, it's too early for vendor sign-up yet). And can anyone say $1.00 bin?!? 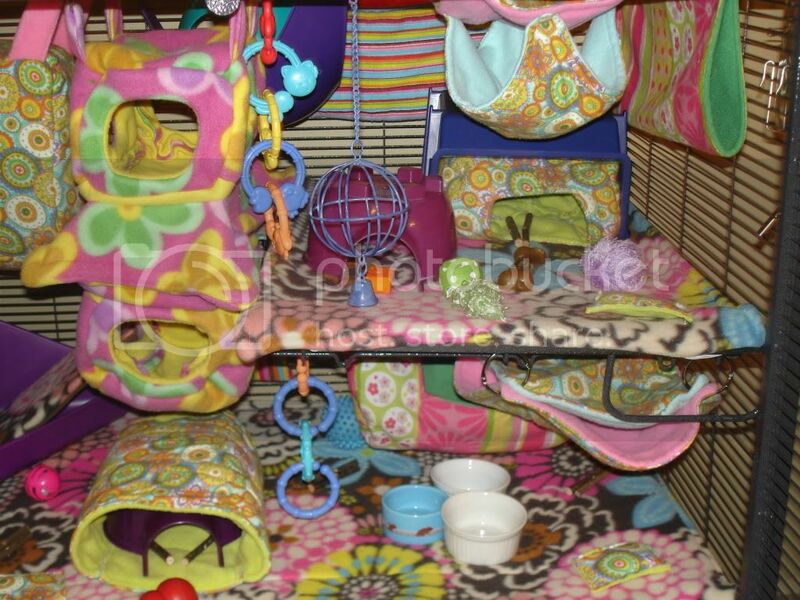 I can't wait to see some cute ratties and meet some rat folks. I sent you an email hoping to buy a premade set. 3 piece set is flannel/fleece/chenille, $18 including shipping. Lovely Easter Set, with 4 super delux treat bags . 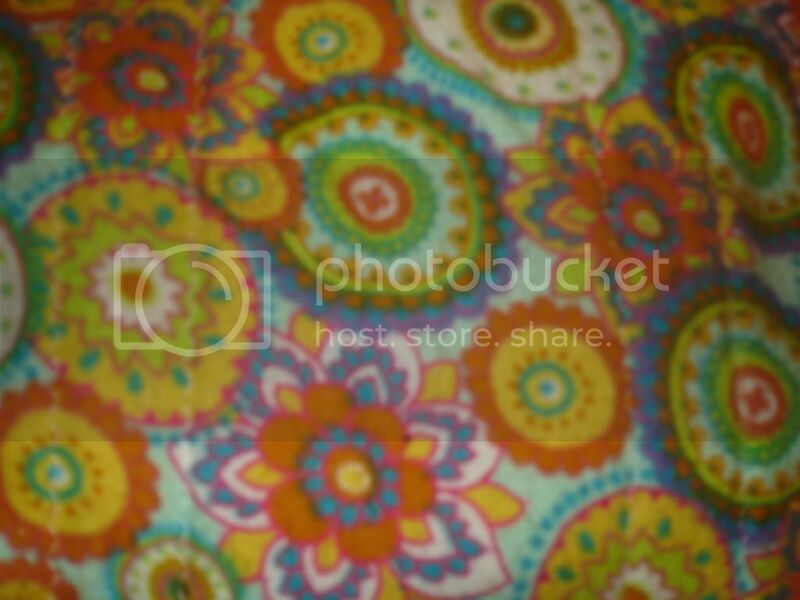 $30, including shipping. Egg and Bunny-shaped treat satchels have various cereals, noodles, oats, and hazelnuts. Those are adorable! Did you get my email? 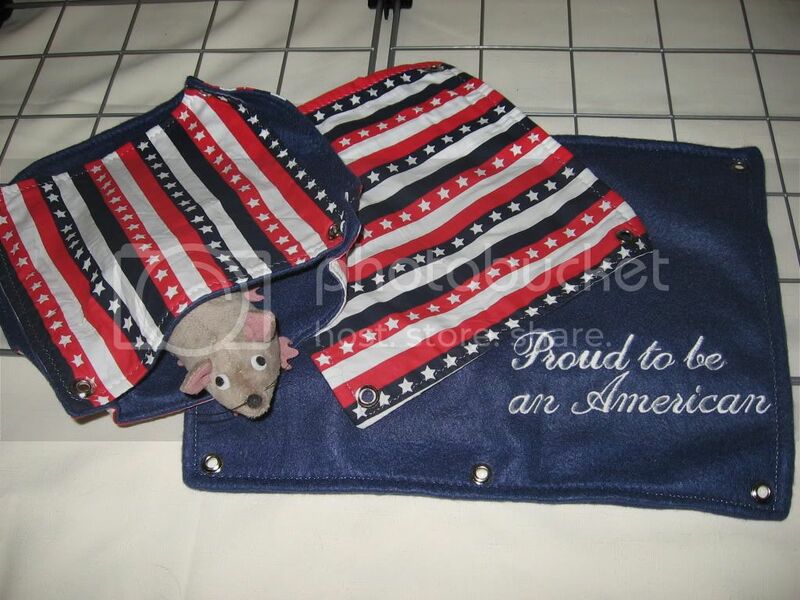 Help your rats celebrate Independence Day! Set Is fleece and cotton. A square flat, an Open Bunk, and an embroidered 6-hole flat proclaiming "Proud to be an American".